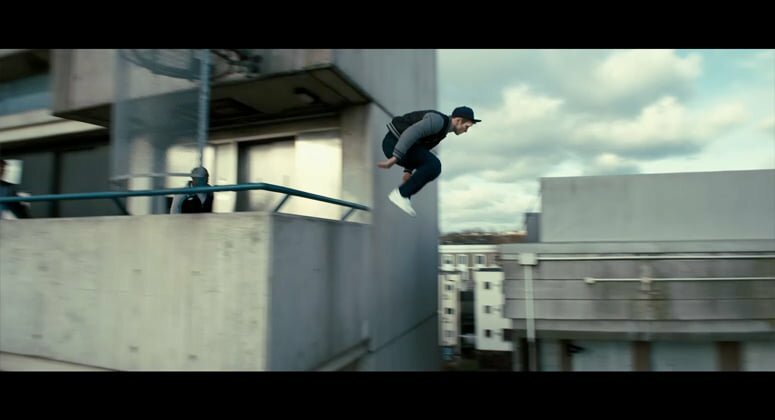 Taron Egerton’s freerunning across a Camden estate is breathtaking in upcoming action thriller Kingsman: The Secret Service. When the filmmakers showed up with their massive Hollywood-scale crew and equipment at the Alexandra and Ainsworth Estate, how did residents react? The experience was literally as sweet as honey. Director Matthew Vaughn with actors including Colin Firth, Samuel L. Jackson and Michael Caine, along with Egerton, bring the famous comic book story to life – as a secret spy organisation recruits a street kid into its training programme, just in time to deal with the global threat from a twisted tech genius. Taron Egerton and Michael Caine were seen filming at the A&A estate. The movie opens in London on Thursday. You’ll see the A&A estate featured in this trailer. While filming there in December 2013, the team made a generous donation, part of which will support two beehives on the roof there – yielding the A&A’s own delicious Rowley Way honey, come the summer. The A&A estate’s Tenants and Residents Association has a filming sub-committee. Its secretary Sara Bell praised the crew for its courtesy and respect. The shoot involved rigging on the roof, three cherry pickers for lighting, and a crane so big that a structural survey was needed to make sure it wouldn’t cause any damage. The residents also rented out their hall, providing a cosy place to rest and grab a coffee and something to eat during the shoot. Mrs Bell explains that donations from filming have been spent on redecorating the hall, buying an upright piano for residents to play, and many other improvements, including the renowned beehives. When the honey is ready, Mrs Bell and her two fellow beekeepers sell it to residents at the estate’s organic vegetable co-op ‘SHEF’ in the tenants hall every Saturday morning – it is usually gone within 45 minutes! “All these good things go to show what’s possible if residents organise themselves,” she says. “The most important thing is our good relationship with Camden Council. We trust them to back us and protect us. Every time we get a filming request, I email the eight members of our filming sub-committee and talk about whether we like the idea or not; and whether we need to ask for some special requirements to make sure residents aren’t disturbed too much. “If we believe our estate will be represented in a way that’s not dignified, we always say no. And having that reputation has never put filmmakers off wanting to shoot here. There’s more information about the A&A’s tenants and residents association here. The filmmakers also supported the local community in Lambeth while filming there. Click here and here to read about these initiatives.